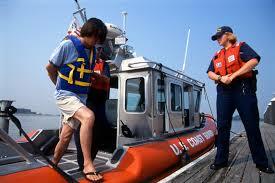 Impaired Boating Emphasis is This Weekend on Lake Washington! Summer is arguably best season of the year. It’s in the top four, hands down. Like with all good things, summer only becomes better with responsibility. That’s why the Washing State Patrol is preparing for the yearly Impaired Boating Emphasis on Lake Washington, which has already seen its share of tragedies on the water. This year from Friday, August 1st, through Sunday, August 3rd, city, county, state, and even federal law enforcement agencies will gather together at Procter Landing on Mercer Island to help make Lake Washington a safer place. Special resources will be deployed to help find offenders (those operating watercraft with a blood alcohol concentration percentage of .08 or affected by other drugs)—these resources include the Mobile Impaired Driving Unit, or “MIDU,” temporary detention facilities for those who choose to endanger others through their own excess, and prisoner support vehicles. Boating-Under-the-Influence is now a gross misdemeanor, punishable by a maximum fine of $5,000 and 364 days in jail. Officers who suspect a given pilot may be a few sheets to the wind can now give those a breath or blood test to determine possible impairment. The authorities can now cite vessels involved in accidents they did not witness and hold negligent and reckless boaters accountable. In the past such Emphasis Weekends produced a total of 450 Boating-Under-the-Influence arrests, 67 of which were from 2013. Harbor patrol has produced a convenient pdf of regulations that all boats need to comply with in order to be seaworthy (or lakeworthy). Be sure to review it prior to your weekend’s aquatic activities as it answers all sort of common boating questions like who has right-of-way in various situations. 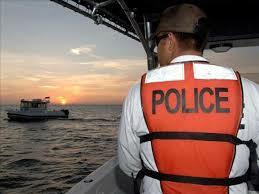 Davis Law Group only represents victims of drunk driving and drunk boating collisions. People need to be held responsible for their actions, and we aim to help harmed individuals recover from the carelessness of others.